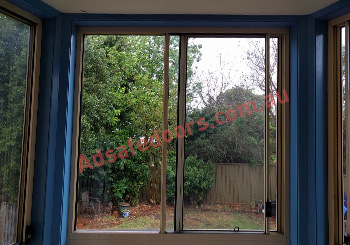 Nearly every home in Australia will have windows that are jammed, stuck, or just won’t open and close properly. A lot of them will grind along the track, and what it means is, you need to replace window rollers to get it back to good working order. The window rollers are the very part that helps the window roll along the track and have a smooth operation. If you find that your window rollers are broken, cracked, or disintegrated, that’s when you’ll get that dragging noise, that grinding noise that really frustrates the hell out of you. If you’ve ever just done a simple task like cleaning the window, you’ll know that trying to get the gauze part of the window out can be quite difficult. It’s always usually easy to pop the window out, but getting it back in is very challenging. And, of course, it’s the same with your window repairs and the window rollers. The window rollers are inside the door, so what we need to do is safely remove the glass window part, and we need to use the proper professional equipment in order to do that, so it doesn’t smash. Once we’ve got the part out, you can identify the type of roller that’s needed. You have a handful of different rollers that can be used. When it comes to windows, they’re usually lighter, so we don’t need as heavy duty window roller in the window in order to make it roll properly, but, what we have found over time with all the different types of windows, is how fiddly the internal parts can be. You need to be able to extract the current roller and remove any debris or broken bits that might be on there, and replace it with a new roller and make sure it’s screwed in, and fits perfectly and is not too big, or else you will not be able to get the window back in the window frame. So, there a number of little tips and tricks on how to replace window rollers, and get your window rolling like new again. The team at Adsafe Doors has been able to repair windows and sliding door repairs for decades now. We’ve been in the business for 25 years. We have seen every type of window roller and window repair that can be done, and we have a whole range of different rollers that can fit your window. So, if you give our team a call, we’ll be able to ask a few questions and find out exactly what type of window you have, and then give you an exact quote of the type of repair that is needed and the cost to replace the window rollers.